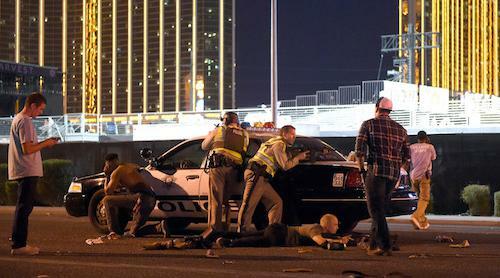 Was the Las Vegas attack a false flag? The Las Vegas Attack was a false flag. The top group at the Bohemian Grove is called Mandalay. A lot of facts about the incident do not align with the official story. There was no motive for the shooter and therefore some other entity must be involved. The stakeholders involved seem to have no motivation with regards to the perpetuation of this false flag. Such a narrative is reckless and inconsiderate of real, innocent people, who watched many people die within arms reach over the course of a few minutes. Conspiracies, like this one, help create a sense of order from a random event. Randomness is uncontrollable and thus many people find it more scary than an evil cabal. Should Burning The US Flag Be Illegal?